The latest development of the Redwoods is the Tree walk. It is a self guided walk 12 metres high through Californian man-made Redwoods. You can look down on those running and walking on the forest floor and experience a relaxing walk over swing bridges with an amazing view. There is no need to book, just turn up between 9am - 10:30pm and take the whole family along - as long as they can walk on their own. The walk takes around 20 minutes and the best time to go is in the morning when the sun is is low and is beaming through the trees or at night when the forest is lit up by colourful lights and lanterns. If you aren't so keen on heights there are still things to do that ensure both feet are firm on the ground. There are a range of walking and running tracks you can choose from that have distances from 3km - 12km. For the really fit people there is even a track that is 34km where you can trek through forestry roads and come across the shores of some of our spectacular lakes. There is also a dog park where you can take your dogs for a walk to meet some new dog friends along the way. All year round Rotorua has thousands of visitors that take on the mountain biking tracks as they have gained a reputation. The range of difficulty levels mean you can enjoy a cruisey laid-back ride or find a track to get your adrenaline pumping. 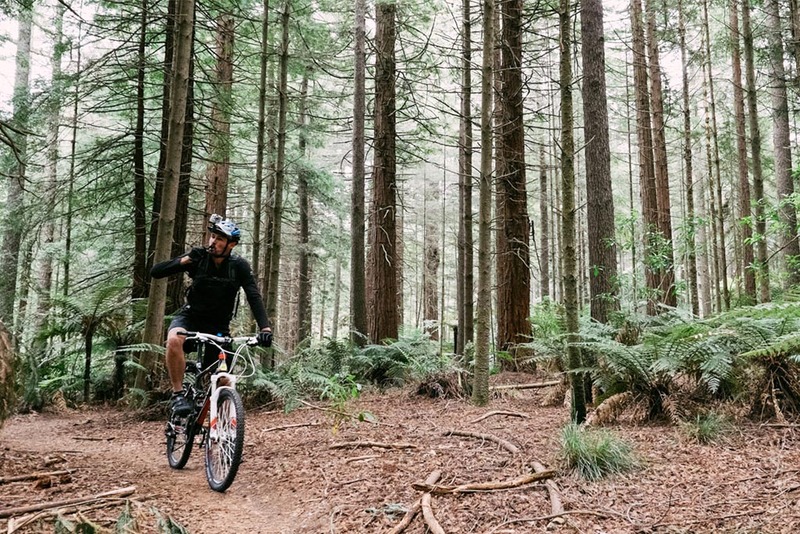 If you don't have bikes, there is no need to worry - you can hire your bikes from Mountain Bike Rotorua or Planet Bike on Waipa State Mill Road and make the most of these awesome tracks that you wont be able to get enough of. Once you have spent a few hours in the beautiful redwood forest you will be wanting to catch your breath and grab a drink and bite to eat. 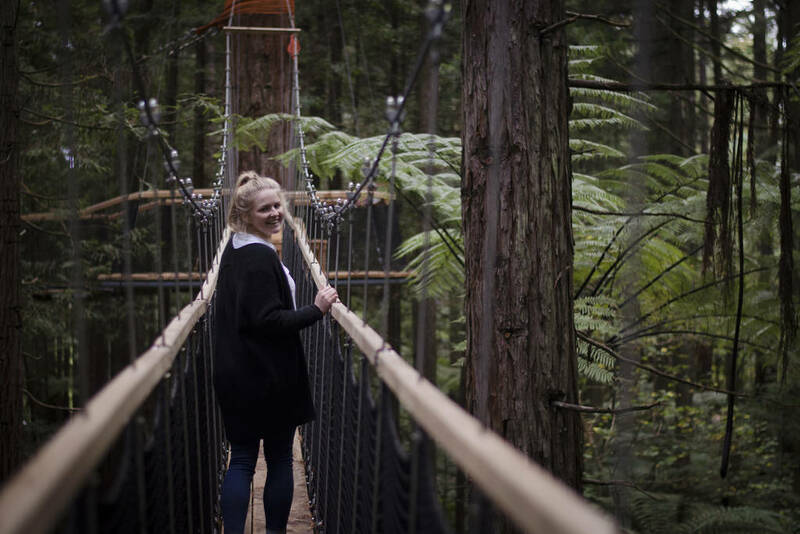 There are two entrances to the Whakarewarewa forest and both entrances to the Redwood forest have a cafe with food and drinks that have some of the best smoothies in town! 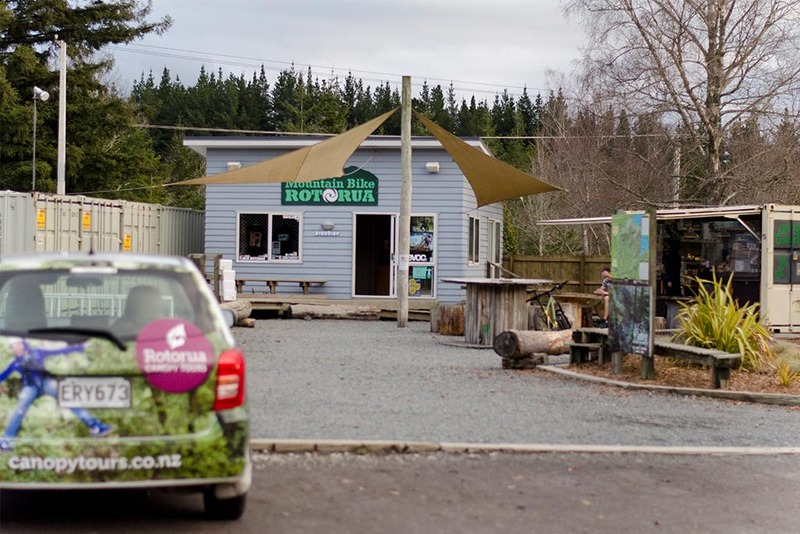 You will be able to find their main cafe along with the bike hire on Waipa State Mill Road heading South out of Rotorua. 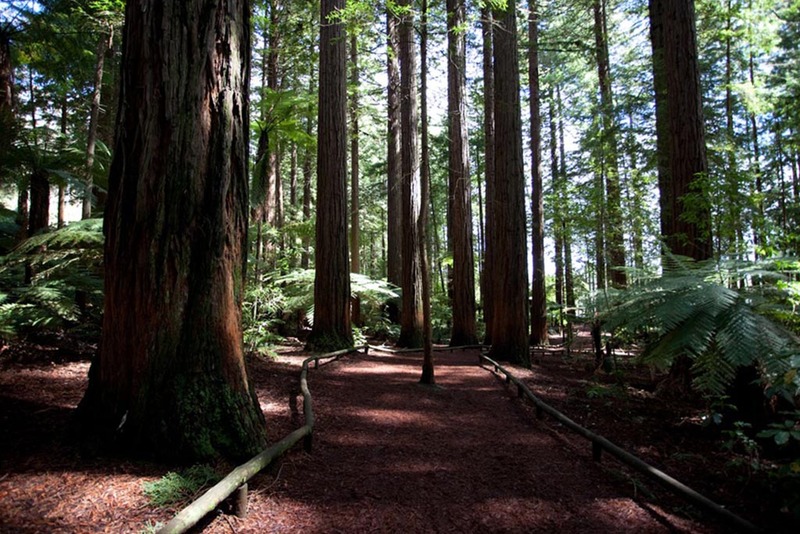 There is so much to do to fill in your time at the Rotorua Redwood Forest, so make sure you allow at least a full day when you are planning your Rotorua itinerary.